This summer we launched our new partnership with the iconic Spanish brand Lladró at their fabulous summer pop-up store in the Hamptons. 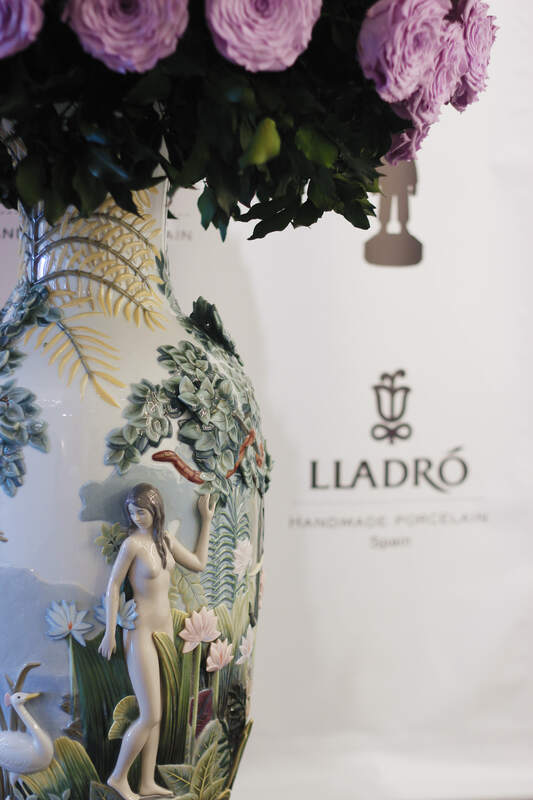 Lladró’s stunning porcelain is regarded as some of the most exquisite in the world. Each handcrafted piece reflects their design heritage and passion for excellence. 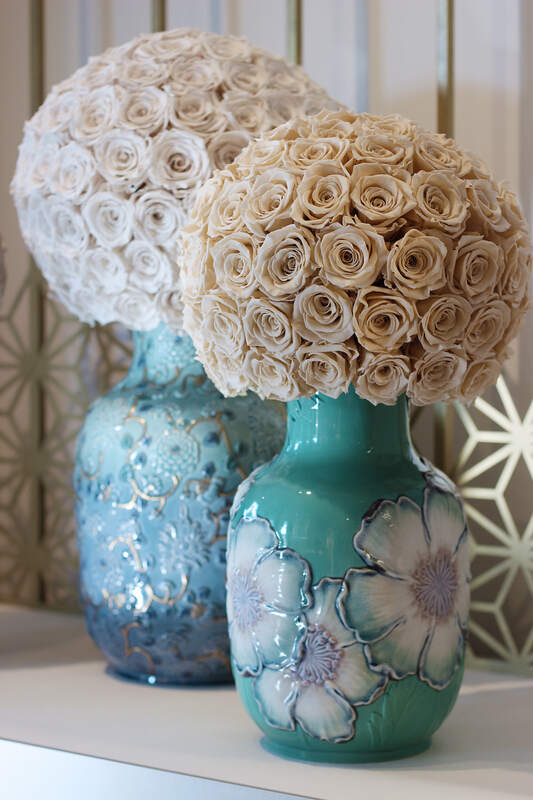 Their distinctive style was the perfect inspiration for our expert floral team to create a spectacular new decorative interior style using our signature Infinite Roses. These naturally preserved roses make the ideal floral decoration as their beauty can last for several years without water. 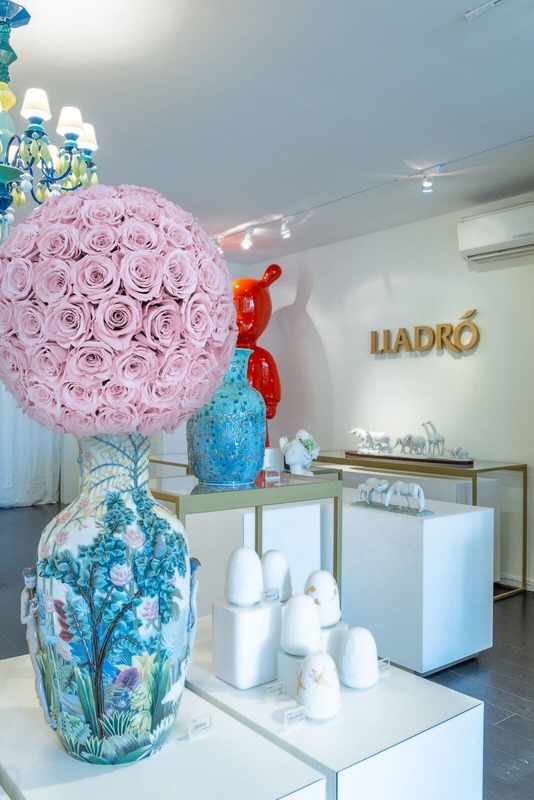 We filled a hand-picked selection of Lladro’s exquisite vases with roses that beautifully complemented the colour palette of each piece and loved how our two styles have blended to such stunning effect. This summer’s Southampton luxury pop-up store is the first one in a series of our Lladró’s collaboration, if you would like to know more please do get in touch with us at beverlyhills@only-roses.com. We think the results are spectacular and if you are tempted to update one of your own decorative pieces then why not try our Custom Design Service. We take your own vase, and style it up with your preferred colour of Infinite Roses, longer lasting beauty tailored for you. ClassicRoses are the World’s finest, fresh-cut, Ecuadorian roses. If cared for correctly, ClassicRoses will last at least 5 days, often longer. InfiniteRoses are real roses, that last up to a year, without any water. They cannot be told apart from their fresh-cut counterparts. What is The Luxury Collection? The Luxury Collection is a compilation of our most exclusive ClassicRose and InfiniteRose designs. They are expressions of style and elegance that simply cannot be matched.